All too often, we grab a piece of chocolate, pop it into our mouth and eat it with barely half a thought as we go about our day. We don’t stop to think about everything that needed to happen to make a bitter cacao bean become a sweet piece of chocolate. We don’t pause to appreciate the delicate balance of textures and flavors. We don’t even really ponder the gastronomic marvel that is chocolate. 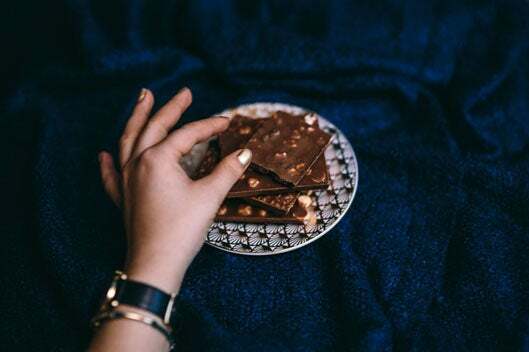 That’s all fine if you’re eating an average piece of candy, but if you’ve treated yourself to a high-end piece of chocolate, do yourself a favor and slow down to really savor it. Here’s how we recommend you go about doing just that. What are you about to put in your mouth? Is it a chocolate truffle? A piece of chocolate from a high-end bar? The box or label might give you some helpful insights about what you’re about to ingest. If it’s a piece of chocolate from a bar, you can see what percentage of cocoa the chocolate contains and maybe even where the cocoa beans originated. If you’re going to eat a chocolate truffle, the design of the box will clue you into whether the chocolate will be traditional or something more edgy or exotic. Taking notice of the packaging and labels sets you in the right frame of mind for tasting what’s inside. Well-crafted chocolate has a glossy shine with no cracks, smudges, pale streaks, or air bubbles. Really examine at the chocolate you’re about to eat. How does the chocolate look? What does the design say to you? 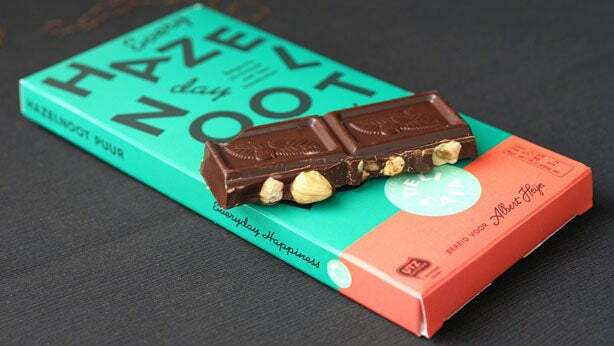 Eating chocolate is an experience that should delight all the senses. Allow your eyes to indulge a little before you let your taste buds have all the fun. 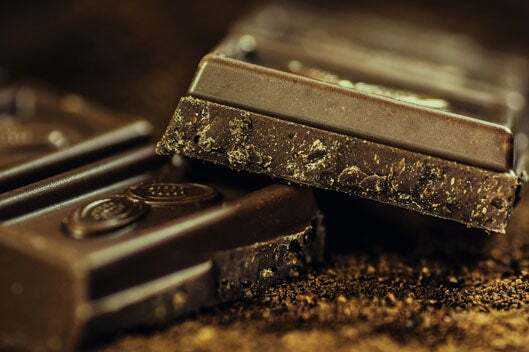 A great piece of chocolate is going to cost you upward of $2 per bite; taking your time to really savor each piece makes the investment worthwhile. This piece of advice only applies to chocolate bars, but it’s an important step if you’re trying to appreciate that type of chocolate. How well chocolate “snaps” tells you a lot about how well it has been tempered. That’s why, if you’ve ever watched a pastry chef try chocolate, you’ll see them lean their ear down towards their hands as they break off a piece. You want your chocolate to have a nice sharp loud snap. Snapping your chocolate can help with this next step, but if you’re eating a truffle or a piece that you don’t want to break, rub the chocolate with your finger a few times to release some of the odor. Put the piece of chocolate about an inch from your nose, close your eyes, and give it a sniff. What do you smell? What does it make you think of? Smelling your chocolate allows you to engage yet another sense and helps prepare your taste buds for the job ahead. Plus, the smell of chocolate just makes you happy and puts you in the right frame of mind for what’s about to come. The great moment has finally arrived! It’s time to place the chocolate in your mouth and savor it. Slow down! Now’s not the time to rush things. Take a small bite and let the chocolate sit on your tongue. Close your mouth and your eyes, breathe through your nose, and concentrate on the flavors being released as the chocolate melts on your tongue. 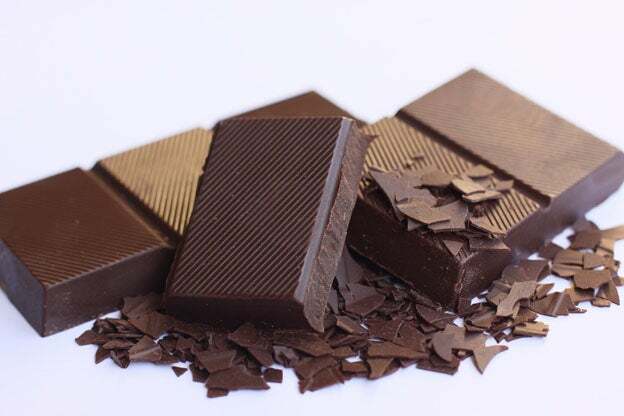 High quality chocolate has a rich, smooth, velvety texture and should melt relatively fast. As the chocolate melts, see if you can detect the different flavor notes for that particular piece. They might be floral, earthy, fruity or even spicy. 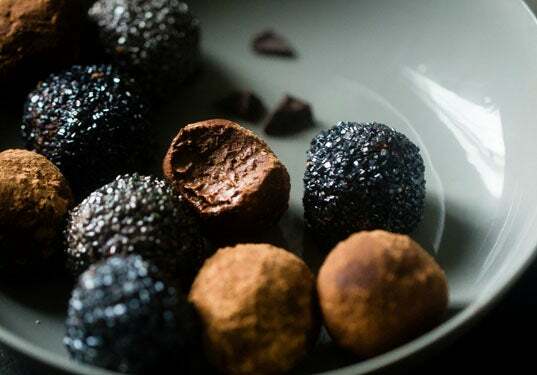 If you’re enjoying a truffle, let your taste buds play with the ingredients that the chocolatier has masterfully combined for your enjoyment. Take your time between bites to let the flavors linger and evolve. Savoring chocolate is a slow, almost meditative, process that we believe more people should take the time to delight in.